As of 2017 this is Panasonic's latest affordable phone system that you only pay for the size and features that you need. 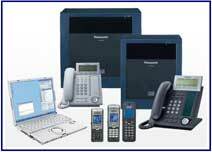 All new Panasonic Phone Systems purchased from EZ Phone Systems include Free Remote Programming. We safely and securely program using Show MY PC. 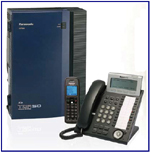 Panasonic provides two different sizes of voicemail for the Panasonic Business Phone Systems with the KX-TVA50 voicemail system being the smallest is the most cost effective voicemail system for small to mid size Panasonic Business Phone Systems. The Panasonic TDA50G is a feature rich VoIP Phone system for small business with the need of expansion to either up to 12 lines in X 20 phones or 8 lines in X 24 Phones. 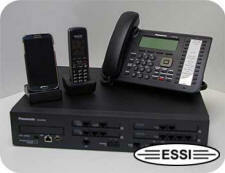 The KX-TDA50 can expand up to 4 VoIP phones. 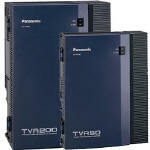 The Panasonic Cordless Cell System consists of cordless phones and what are know as cell stations that are sold separately. 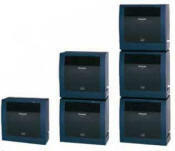 The TDA and TDE systems have the capability of using multiple cell stations to be mounted around a large facility or home and when a cordless phone looses it's signal from one cell station it finds and connects to the nearest or next cell station expanding the roaming capabilities of the cordless phones.